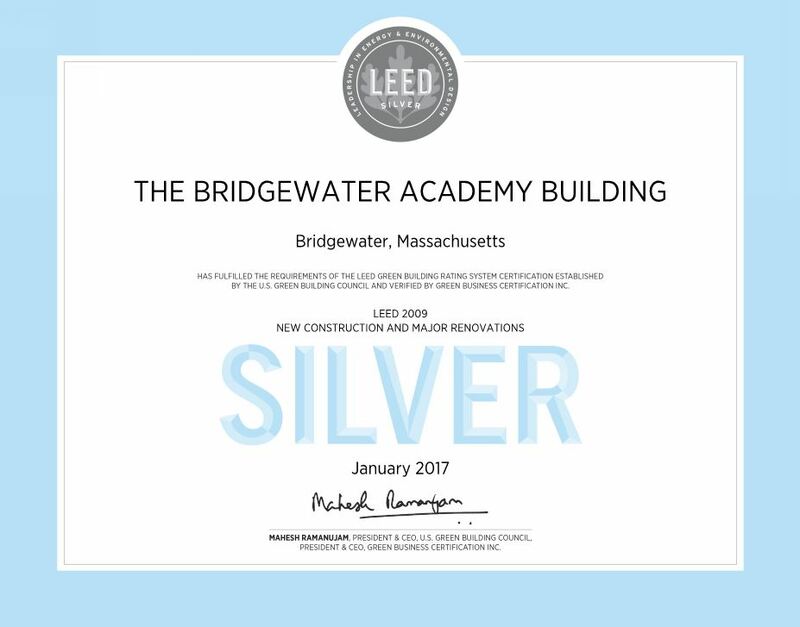 Bridgewater Academy Building Won LEED Silver Certification « Air Water Energy Engineers, Inc.
February 27, 2017: The historic Bridgewater Academy Building renovation project earned LEED Silver certification. The certification was based on the LEED 2009 rating system. AWE engineers are proud to be part of the project team that contributed to this achievement.